VJM may be the sister event of the classic Vietnam Mountain Marathon that just took place again in Sapa, but insiders and those who have done it know that Vietnam Jungle Marathon can more than put its foot next to VMM. The Trails of Po Luong feature astonishingly beautiful scenery over a main race distance of 70 km. The 3rd edition of the event organised by Topas Travel is scheduled for 25 May 2019 and will be one of few points races in the Asia Trail Master Championship series that month. May is the Holy Month in several Southeast Asian countries, but if you are keen on a solid trail exercise, VJM is just what you want. Pu Luong Nature Reserve near Mai Chau lies around 140km south west of Hanoi. It is an area where time stands still. 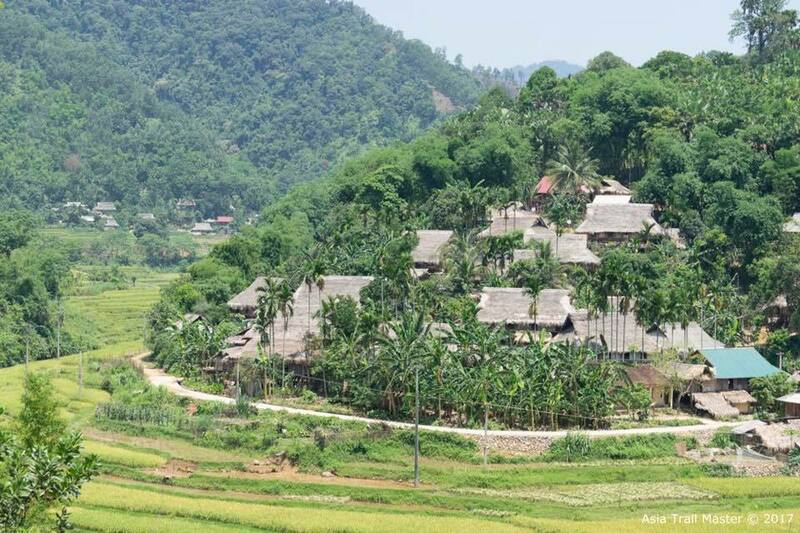 Pu Luong is home to ancient jungle, soaring limestone peaks, vibrant rice paddy fields and small villages where life goes on as it has for generations. Many of these remote villages are still connected by dirt trails and singletrack with plenty of challenging climbing to conquer in between. You will share the route with buffaloes and people from the minority communities, although some of the more remote sections you are not likely to see anybody on race day except another runner. Many of the villages here see little or no tourism, meaning this race is an opportunity to discover truly untouched Vietnam. The 70 km is the race that matters for the ATM Championship and it has 3100 metres of elevation gain to be conquered in 18 hours. If that is too big an ask, you can also opt for the 42km or 25 km. Ultimate Tsaigu & VJM this weekend! After a one week break, the busy spring campaign in the 2018 Asia Trail Master Championship continues this Saturday on two different locations. In China, we have the return to ATM of Ultimate Tsaigu in China, aka Tsaigu Tangsi Plus. In Po Luong, we have the second Vietnamese points race of the season: the Vietnam Jungle Marathon. From a championship point of view, eyes will be set on Filippino runner Majo Liao, who is competing in the tough 100K in Linhai, China. Never afraid of a mountain challenge, Majo Liao is one of several Filippinos who will tackle the rough Kuocang mountain range. For Majo, it will be the 3rd ATM points race of the year, and a top 4 result would put her back in the lead in the points standings. Liao is 398 points behind Indonesia’s Ruth Theresia at the moment. Ultimate Tsaigu is one of China’s leading international trail races and has never ceased to grow since its conception in 2014. As part of the ATM calendar since 2015, some of the country’s top runners such as Yan Longfei and Ma Yanxing have won the A-race, which began as a 58km but since a few years measures 100K. This weekend, there’s also a 65K B-race that will provide points for the championship. Malaysia’s Azuan Asmuni is expected to be a challenger for the local runners on that distance. The 100K will see China’s elite versus a number of international elite runners from Europe, such as Spain’s Juanjo Larrotcha . Very interesting will be the dual between the two protagonists Qi Min and of the UTWT race in Hong Kong last January: . In Vietnam, local trail hero Quang Tran can score his second victory of the season on the 70km. Dominator in Dalat Ultra Trail in March, Quang Tran will be keen to win in Po Luong, as last year he still had to accept defeat against his compatriot Cao Ngoc Ha, who himself has his focus on triathlon at the moment. If he wins, Quang Tran collects another 500 points and that would place him in the top 5 of the championship. He’s the kind of runner who can play a major role in the title battle later this year. On paper, Quang Tran is the fastest runner on the ultra distance of 70k. For the remaining podium spots it will be an open competition with Quang Nguyen a prime pick, having scored several podia before in trail races. Also the women’s race is quite open but with several runners who already have quite a pedigree on the tour. Nguyen Thi Duong and Phuong Vy Le, for example, or also Sara Valentina. The local race director also expects a good performance by Bangkok-based Kylie Jane Ayson. We will be reporting live from both events this Saturday, subject to connectivity. The latter - as most of you know - is not guaranteed in China due to restrictions on the use of social media such as facebook, twitter and instagram.